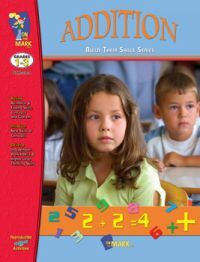 Description: An effective resource for teaching or reviewing addition concepts and operations. The activities in this book focus on the following skills: recognition of addition facts 0 to 18 and their concepts, comparison of addition facts using the symbols for greater than, less than, equal to, not equal to; place value; single column addition, two and three column addition with or without regrouping. 32 pages.